Join us in the Stewart Family Room for a special Mother’s Day High Tea with live music. 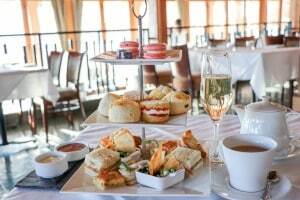 Savour house-made finger sandwiches, pastries and scones with clotted cream, sip on a glass of Valley of the Moon Brut and choose from 8 luxury loose leaf teas by Tealeaves. Time: 12 PM or 3:00 PM Price: $59 per person (includes glass of Valley of the Moon Brut, taxes and gratuities) Reservations required. Call 250.769.2500 to book. 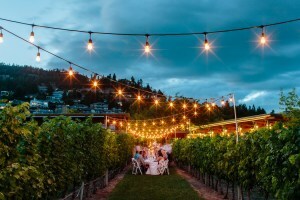 Our Dinner in the Vineyard series is back! 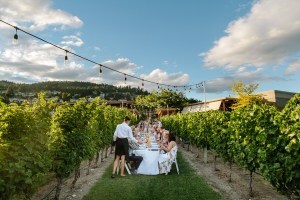 Join us on Wednesdays and Thursdays, starting June 26 for a 4-course farm-to-vineyard long table dinner, all perfectly paired with our award-winning wines. Early bookings are recommended.